CarGurus has 87,663 nationwide Equinox listings starting at $1,000. The Chevrolet Equinox crossover vehicle, which changes little for 2012, continues to deliver a good overall package, thanks to its aerodynamic exterior design, comfortable upscale cabin, functional sliding rear seat and wide range of standard and optional features. Some owners express disappointment over the Equinox's fuel economy numbers, which they say don't match up with EPA estimates, while others have reported build-quality issues with the vehicle, requiring return trips to the dealer for repairs and service. The Chevy Equinox gets very good marks from reviewers, who rank it near the top of its class, but owners have more mixed feelings, due to issues with the Equinox's fuel economy as well as the automaker's MyLink infotainment system, originally intended as a standard feature for 2012, but now available only as an option on upper-end Equinox trims. Owners have also reported some problems with the Equinox's 4-cylinder Ecotec engine, and some have had build-quality problems with their vehicles. Prospective buyers considering the Equinox should take a careful look at the vehicle's pros and cons before signing on the dotted line. Three years into its second generation, Chevrolet's Equinox crossover receives only minor updates for 2012. Blind-spot exterior mirrors now come standard on all Equinox trims, and Chevy added a 7-inch color touchscreen with a USB port as standard equipment to all trims except the entry-level LS. In addition, in a controversial move, Chevy makes its MyLink connectivity system available as an option on upper-end trims. Previously, Chevy announced that the MyLink system would be standard equipment for some 2012 Equinox trims, but the automaker changed its mind, angering many early buyers. The Equinox's fuel economy numbers have also generated some controversy, since owners and testers alike note that their Equinoxes do not achieve the advertised fuel economy numbers. 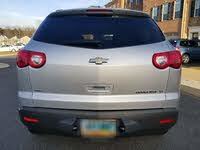 Further fueling controversy, Chevy has stripped away some of the Equinox's features for 2012. You won't find the optional rear-seat entertainment system available for the 2012 Equinox, for instance, or a factory-installed trailering package either, now added at the dealership. In addition, the automaker has done away with several optional cosmetic packages and cargo management systems. Despite these drawbacks, the 5-passenger Equinox continues to charm automotive reviewers, thanks to its attractive, aerodynamic exterior design, flexible cargo capabilities and roomy, well-designed cabin, which offers a number of upscale amenities as well as plenty of legroom and headroom. 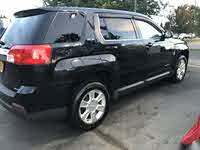 Equinox trims for 2012 include the LS, 1LT, 2LT and LTZ. Power comes from a choice of two engines, including a base 2.4-liter Ecotec 4-cylinder powerplant and an optional 3.0-liter V6. Both engines feature direct injection and continuously variable valve timing, and offer FlexFuel capability. All Equinox trims come with front-wheel drive, although owners can add optional all-wheel drive at all trim levels. Outside, the Equinox displays sleek, aerodynamic exterior lines with softly rounded corners. Design features include a sculpted hood, Chevy's signature two-tier grille, wraparound headlights, subtly flared fenders, integrated rocker panels and dual round taillights. The upper-end 2LT and and LTZ trims get new 18-inch chrome-clad aluminum tires for 2012, and Chevy now offers an optional forward collision alert and lane departure warning system for the LTZ trim when it's equipped with the V6 engine. 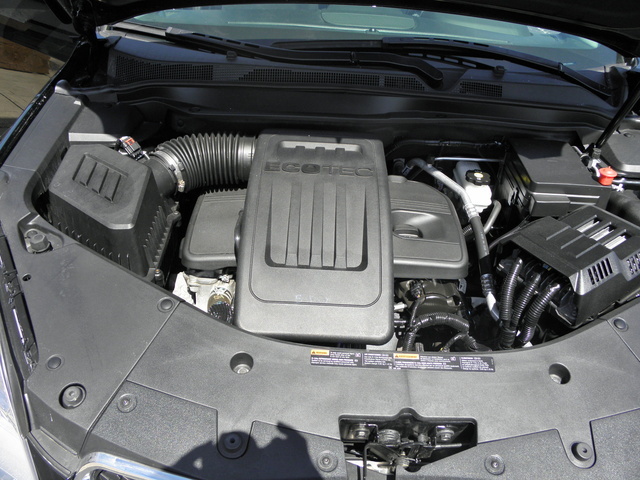 A base 2.4-liter Ecotec 4-cylinder engine, which runs on both gas and E85 ethanol fuel, powers all Equinox trims. The engine generates 182 hp and 172 lb-ft of torque, and links to a 6-speed automatic transmission with an Eco mode, which adjusts shift points for better mileage. Fuel economy numbers for the 4-cylinder powerplant check in at 22/32 mpg for front-wheel-drive trims and 20/29 for all-wheel-drive trims. Chevy reports that thanks to an 18.8-gallon fuel tank, the Equinox has a cruising range of about 600 miles on a single fill-up. However, many owners, as well as independent testers, report that their Equinoxes have difficulty achieving the EPA-stated fuel economy numbers and note that the Equinox more regularly posts mileage numbers of around 18 mpg for city driving. A better bet for prospective buyers might be the optional 3.6-liter V6, available in the 1LT and 2LT trims. It delivers 264 hp and 222 lb-ft of torque with the same 6-speed transmission, minus the Eco mode. The extra horsepower helps move the Equinox around with a bit more pep, although testers note that the Equinox, even with the upgraded V6, takes in excess of 8 seconds to accelerate from 0 to 60, so it won't break any land speed records. Fuel economy with the V6 dips to 17/20 mpg for FWD trims and 16/18 when equipped with all-wheel drive. But given the fact that the Equinox doesn't quite live up to its stated fuel economy numbers with the 4-cylinder, the actual difference in mileage between the two engines might not be as great as stated. The V6 is also the best option for owners who plan to use the Equinox for towing. With the 4-cylinder engine, the Equinox can tow up to 1,500 pounds, but that figure jumps to 3,500 pounds with the V6 engine, when equipped with the dealer-installed Hitch Trailering Package. 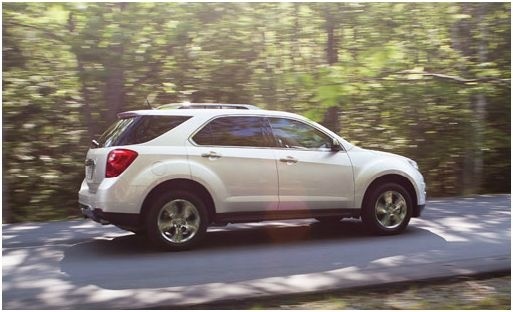 Owners and reviewers alike are impressed with the Equinox's smooth acceleration and capable handling. A tight turning radius makes it a good choice for city driving, and road noise is well-muted at highway speeds, thanks to noise-absorbing components in the engine bay, chassis and windshield glass. In addition, the Equinox delivers a ride that's on the softer side, so owners who seek something firmer, especially if they like to toss their vehicles around, might want to look at other options. The Equinox sits on a 4-wheel independent suspension, with MacPherson struts in the front and a multi-link configuration in the rear. Trims equipped with the 4-cylinder Ecotec engine get a rack-mounted electronic power steering system, while V6-equipped trims receive hydraulic power rack-and-pinion steering. Some reviewers call the steering light and would like to see better feedback, but the 4-wheel antilock brakes do a good job of stopping the vehicle with minimal pedal travel. 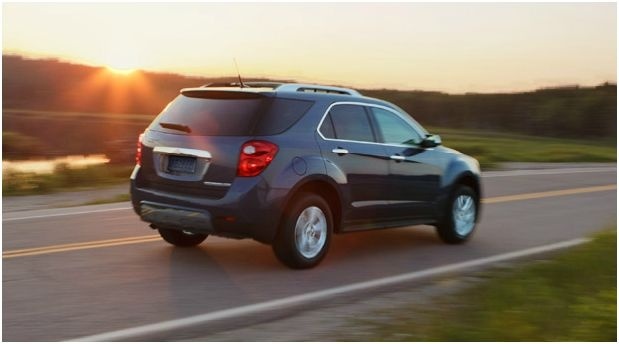 The Equinox generally gets positive comments from reviewers and owners for its upscale, roomy cabin. This is especially true for the second row, thanks to its Multi-Flex sliding rear seat, standard for all trims. It slides back and forth up to 8 inches, providing plenty of legroom for taller passengers, while sliding forward to maximize rear cargo space. Overall, the cabin has an upscale feel, with an interior layout that finds the proper balance between function and style. Controls are within easy reach of the driver, although some testers complain that too many of the buttons look alike, which can be confusing at first. Seats are comfortable for long trips and provide good visibility all around. Unlike some competitive vehicles, however, the Equinox does not come with an available third-row seat. Despite the lack of a number of optional features available in previous years, the Equinox still delivers a good range of standard features, including a few new ones for 2012. All trims except the LS now receive a rear-vision camera as a standard feature, as well as a 7-inch color touchscreen radio with a USB port. Not to be left out, the LS gets standard Bluetooth, delivered through the standard OnStar system. Other standard features for the LS include air conditioning, a tilt/telescopic steering wheel with audio and cruise controls, power lumbar and power height adjustment for the driver's seat, and an AM/FM audio system with SiriusXM satellite radio. The LS also includes a driver information center with a compass. The 1LT adds a leather-wrapped steering wheel, a rear-vision camera, and a Color Touch Radio with a 7-inch color touchscreen, USB port, CD player and SiriusXM radio. Stepping up a notch, the 2LT also gets an 8-way power-adjustable driver's seat, heated front seats, auto-dimming rear-view mirror, remote vehicle starter, and an upgraded Pioneer 8-speaker, 250-watt audio system with the Color Touch Radio screen. At the top of the line, the LTZ comes equipped with leather upholstery with perforated leather inserts, memory settings for the driver's seat and a programmable rear power liftgate. Chevrolet offers the Color Touch Radio with Navigation as an option for the 2LT and LTZ trims. Also available as an option for the LT2 and LTZ is the automaker's MyLink Touch Radio system, which includes smartphone integration and database access, as well as an AM/FM audio system accessed through the color touchscreen. The Equinox offers 31.4 cubic feet of cargo space with the rear seat up and slid all the way forward. That number expands to 63.7 cubic feet with the rear seat folded down. For most owners, that should be adequate, but those who place a premium on cargo space may want to look at competitive vehicles, such as the Toyota RAV4, which offers up to 73 cubic feet of space. Interior storage spaces include 8 cupholders, several storage bins and a storage space under the center armrest large enough to hold a laptop computer. The IIHS named the Chevrolet Equinox a Top Safety Pick for 2012, thanks to its top overall rating of Good for protecting passengers in three types of crashes, including frontal, side impact and rollovers. The NHTSA gave the Equinox 4 out of 5 stars overall, which breaks down to 5 stars for side crashes and 4 stars for frontal crashes and rollovers. GM's StabiliTrak electronic stability control system with rollover mitigation comes standard on all Equinoxes. Other standard safety features for the Equinox include traction control, electronic brakeforce distribution, a hill hold assist feature and trailering anti-sway control, as well as 6 airbags. The 2012 Chevrolet Equinox receives mixed reviews from owners. On the plus side, many owners like the Equinox's aerodynamic exterior design, good handling, roomy cabin, comfortable seats and overall value. Owners call the Equinox sporty and fun to drive, and note that there's plenty of room for taller passengers in both the front and rear seats. In addition, many owners like the new 7-inch touchscreen, as well as the OnStar system and Bluetooth. The biggest complaint about the Equinox concerns fuel economy, with many owners voicing their disappointment and frustration that the vehicle doesn't deliver stated fuel economy numbers. Some owners are satisfied with the power provided by the base 4-cylinder Ecotec engine, while others note that it doesn't deliver the performance they'd hoped for, especially on inclines or under heavy acceleration. Even some owners who opted for the V6 are disappointed with the Equinox's performance. In addition, a number of owners report having quality control issues with the Equinox, and some say they've had to make a number of return trips to the dealer to fix problems with the vehicle. 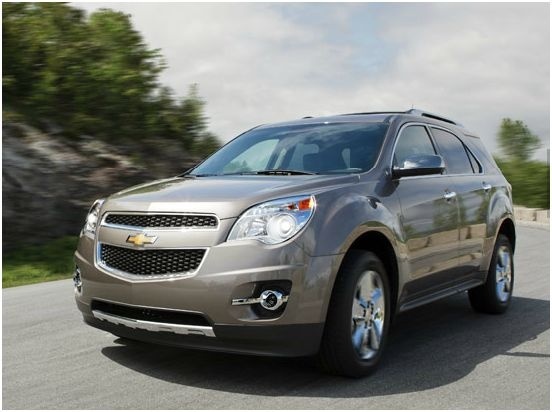 What's your take on the 2012 Chevrolet Equinox? Jburrier I have owned a 2012 Equinox AWD LT 4 CYL. for about 2 years now and starting around the end of year one it starting sounding like a diesel when I start it. Not all the time, about 1 start in 5. It is kept in heated garage and serviced by the dealer since day one. Am I the only one with this problem?? I think it is causing engine wear over the long term. Julies I own the 2012 Equinox and hate it. January 27, 2014 problems beginning - engine light came on as well it began to feel (drive) like the transmission was slipping. Driving it would drop in speed then accelarate (jerk forward). Took it to the dealer for diagnostic which showed carbon build up on intake valves as well as misfire. 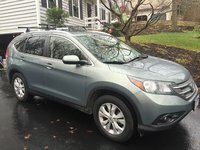 BRYNER CHRVEROLTE, INC (dealership in Jenkintown, PA) - employee from the service provided with for the first time a list of "TOP TIER GASOLINE BRANDS (U.S.) THAT CURRENTLY MEET a cleaner detergent for the my Equinox. Very upset because this information should have been disclosed as well as post on the stick PRIOR to our purchased. Guess what? Thirty-four days later, same exact problem. GM and its dealerships should disclosed this information and/or post this list on their site. By the way, out of the 22 gas stations, on 2 (Exxon and Shell) are in decent driving distant to me. Many other I've never heard of before like: CountryMark, MFA Oil Co., Hawaii Fueling Network, Ohana Fuels, Road Ranger, and Aloha Petroleum to name a few. Buyer beware. Sikuate I have a 2012 LT V6 AWD and at 75,697 miles with no major issues. The only minor issue was a failed radio at the 2 year mark and thankfully covered by warranty. 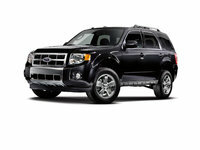 Users ranked 2012 Chevrolet Equinox against other cars which they drove/owned. Each ranking was based on 9 categories. Here is the summary of top rankings. 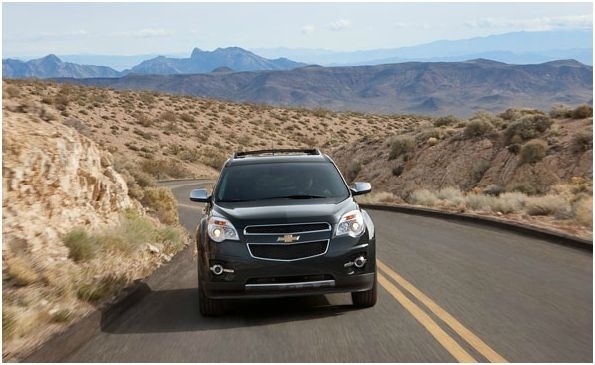 Have you driven a 2012 Chevrolet Equinox? Can't figure out how to remove the cover over the battery.